I may or may not have been called a word nerd in school. You too? Whew, I feel better. Word puzzles and games are incredibly fun to me! I guess that’s why Bible verse scavenger hunts have always been a favorite of mine. 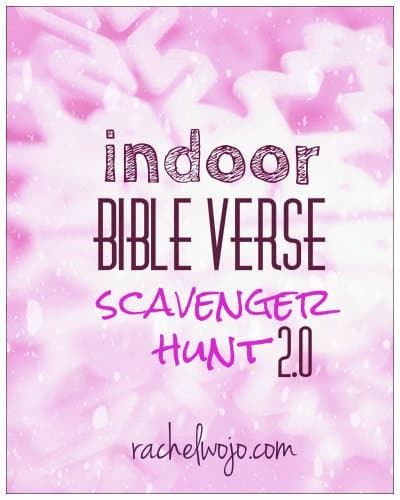 What’s a Bible Verse scavenger hunt? 2. Look up the Bible verse. 5. Photograph item for proof, if desired. Yep, it’s that simple. Print off this little sheet of paper and watch your Sunday school class, small group, youth group or other similar body of persons put their thinking caps on as they travel through Scripture. Why are we on 2.0? Since I offered the last Indoor Bible Verse Scavenger Hunt, I’ve received many requests from you for another. Consider yourself the benefactors of Snowmageddon last week. When it’s too cold for my kids to be in school or outside, it’s time to get the creative game on. 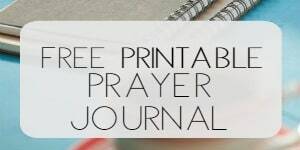 Click on the graphic above or this link to open the FREE .pdf of the brand NEW Indoor Bible Verse Scavenger Hunt. 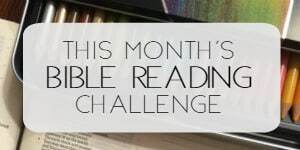 And be sure to check out the other awesome Bible Verse scavenger hunts- both indoor and outdoor! PS: Remember I used the ESV to create these, but if you get stumped, email me for the answer key! Have fun! Hello I come from Holland. I can ‘ t open the link. …Can you help me and resolve the problem? What browser are you using? It is a .pdf file. What reader do you typically use to open .pdf files? It should open directly in Google Chrome. 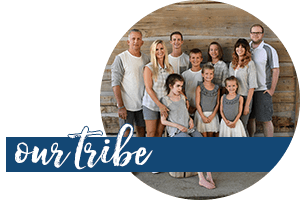 Let me know- I’d love to try to help you further! This will be a great activity for our Women’s Retreat that is coming up. Thanks a million! I needed another idea dn the Lord porvided! !